The Bible is the story of God’s interaction with his creation. It is a story that occurs over time, in many places, and through many events. It includes the lives and lessons learned by many people from many cultures. It’s often easy to lose sight of the way in which God’s story fits together when our primary way of looking at the Bible is a bit here and a bit there. 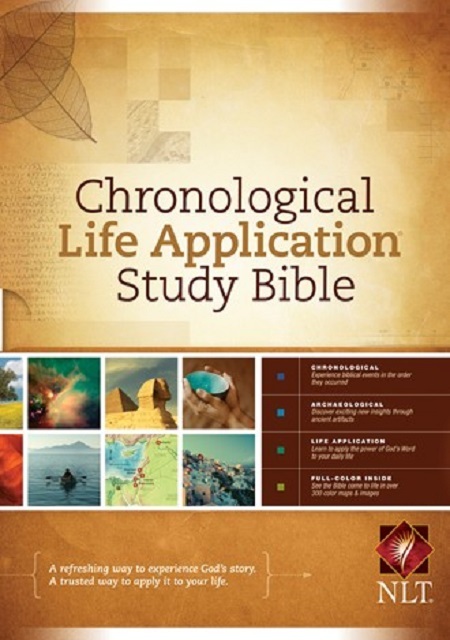 The new four-color Chronological Life Application Study Bible combines the proven resources of the Life Application Study Bible with a chronological format and several brand-new resources. The Bible is arranged in 10 chronological sections that help the reader to see how the various pieces of the Bible fit together. New section intros and timelines set the stage for the passages in each section. New archaeological notes and photographs help to bring God’s story to life in a whole new way. And of course, the Life Application resources answer the all-important question—“so what?” This edition of the CLASB features the New Living Translation. Kiadás ideje: 2012. október 1.